By now a lot of people have heard of exotic super fruits like acai berries or goji berries, but very few people have heard of maqui berries. This South American superfood has been used for centuries in Chile and Argentina for its natural healing properties and as a coloring agent in local wines. In recent years maqui berry (Aristotelia chilensis) has been growing in popularity because of its nutritional profile and high level of antioxidants. 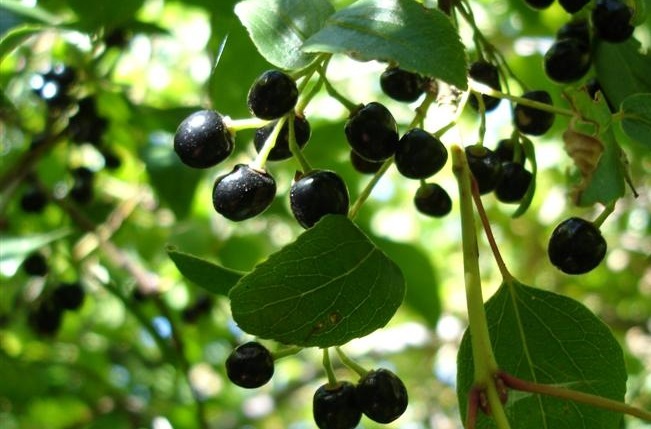 In this article you will learn about all of the benefits of of maqui berry, how to use them and what to be careful about. 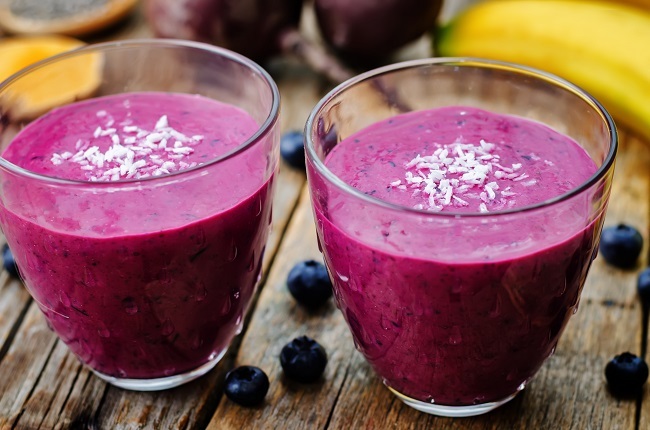 We also provide a selection of 5 delicious maqui berry smoothie recipes to try. Aristotelia chilensis, or maqui, is a berry of intense purple color. The plant is native to Latin America and mostly found in Chile. The locals have consumed it as fresh fruit for a long time. It can also be squeezed into juice. In regions where the plant is non-native it can be mostly found in powdered form. Maqui has been highly praised for the combination of antioxidants. Anthocyanins in Maqui berries are the key component that researchers have been studying. A study published in Biomed Research Int’l, scientists gave study participants that were pre-diabetic a single dose of standardized maqui berry extract. The results found that insulin and fasting glucose levels had been reduced. Cardiovascular disease (CVD) is the #1 cause of death worldwide and unhealthy cholesterol is a serious contributor to it. Fortunately, the high levels of antioxidant compounds in maqui berries can help support reduction of the oxidation of cholesterol in the blood. Oxidation of cholesterol is a key component in the development of cardiovascular disease. In a small study, participants with dry eyes orally took 30 or 60 mg daily dose of a maqui berry extract for 60 days. The participants experienced measurable improvements and scored well on the Dry Eye-Related Quality of Life Score. Although further tests are needed, these effects can be attributed to the antioxidant properties of maqui. Indigenous tribes of Chile have long known about anti-inflammatory properties of maqui berries. We briefly mentioned anthocyanins above but more specifically, maqui berries have high amounts of a type of anthocyanins called delphinidins. Maqui berries can potentially cause allergic reaction for some people if they are susceptible to berry allergies. Intake of maqui berries is not recommended for pregnant or breastfeeding women. Various sources mention that Maqui berries have a very high ORAC value, even higher than the superfood Acai berries. ORAC is a lab test that measure a foods total antioxidant capacity. This source confirmed that Maqui ORAC antioxidant values were very high relative to 120 other fruits in their database. 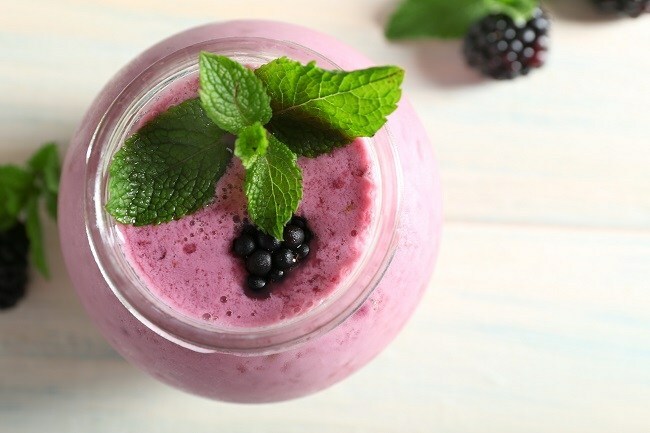 Maqui berry powder can be used in baking but is usually mixed into smoothies. There isn’t a “correct” way to add maqui powder to your smoothie. Just put the desired amount in a blender with the rest of your ingredients and mix them to the desired thickness. The taste of whole maqui berries is like a blend of blackberries and raspberries. These small red and purple berries have a sweet and sour taste. Their rich red-purple color comes from the anthocyanins so expect a purple smoothie. 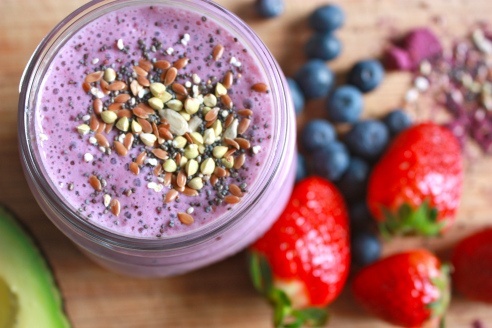 Maqui berry powder blends work really well with any of your usual smoothie ingredients. The maqui powder has a very subtle berry taste compared to fresh Maqui berries which are more tart. The powder won’t really have any impact on your smoothie taste. 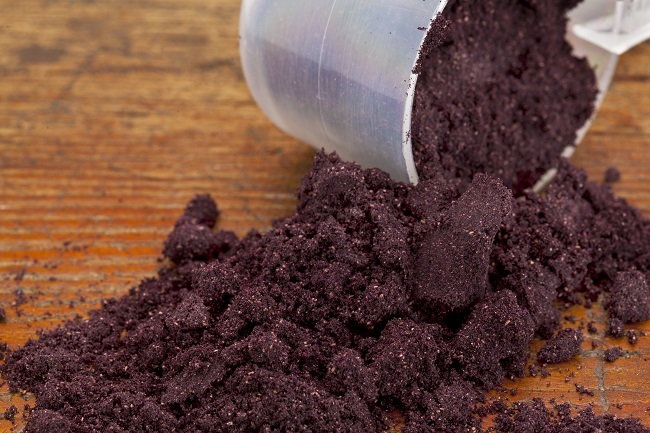 You should not keep your maqui berry powder in the fridge. Make sure the bag is air-free and tightly sealed after you use the powder. Heat is another thing to avoid when storing it. Similar to other superfood powders, maqui powder should be kept away from moisture. Putting it in your pantry where it is cool, dark, and dry should keep it fresh for a long time. The shelf-life is a couple years. There are many different suppliers and brands to choose from. Here are some general buying rules to follow to ensure you get the best quality. Some of the processed maqui berry powders contain allergens such as nuts, gluten, wheat, and others. You should carefully read the label to make sure there are no substances that can cause an allergic reaction. Also note that there’s a chance you are allergic to maqui itself, so if you are susceptible to berry allergies then you should avoid it altogether. Maqui berries grow in the wild and are harvested in the wild. Generally it is best to look for products that are organically certified and Non-GMO. Remember that your purchase can make a difference. Since indigenous peoples are involved in the harvest you should make sure that the brand you choose is part of fair trade and sourced from sustainably harvested suppliers. Most brands will list on their packaging if they are a fair trade partner. It is always smart to start small in the beginning. Your daily intake may vary depending on your age, health, and dietary needs. The usual recommended dose is 1 to 2 teaspoons of maqui berry powder. If needed, you can gradually increase the dose for your needs, but you should “listen” to your body and act accordingly. Talk with your health provider if you have any questions. Where to Buy Maqui ? Macai powder is sold by popular natural health food brands. We prefer only buying from established brands that meet the criteria we listed above and we know that the raw product is sourced, tested, and made properly. You can use maqui powder in any “Berry” smoothie recipe as it won’t change the taste when mixed with other berries. 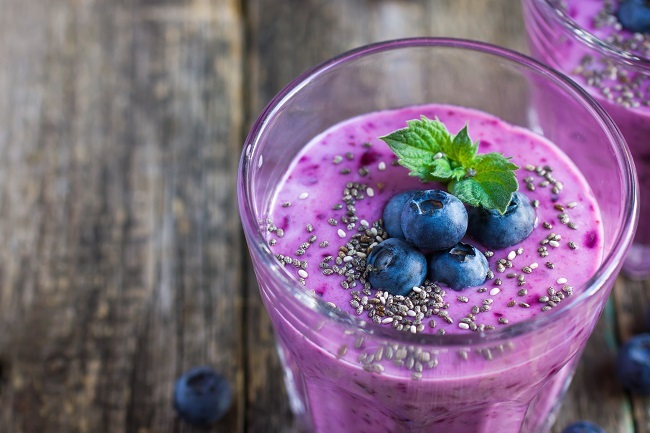 Below you can find a selection of delicious maqui berry smoothie recipes. Maqui is great for keeping your immune system strong and mixed into breakfast or workout smoothies. These recipes are formulated for single serving blenders. Just double the recipe if you are using a full-size smoothie blender and want multiple servings. Simple green smoothie that is filing with chia seeds and simple to make. This recipe is rich in nutrients and kid friendly. Coconut is always a tasty addition to smoothies. It relaxes the mix and gives a hint of freshness to other ingredients. The subtle sweetness of maqui berry powder blends really well with the coconut. As suggested by its name, this one contains multiple berries to give you a strong dose of minerals and vitamins. This smoothie represents an excellent balance of sweet and tart. The maqui berry powder gives it an extra nutritional boost. 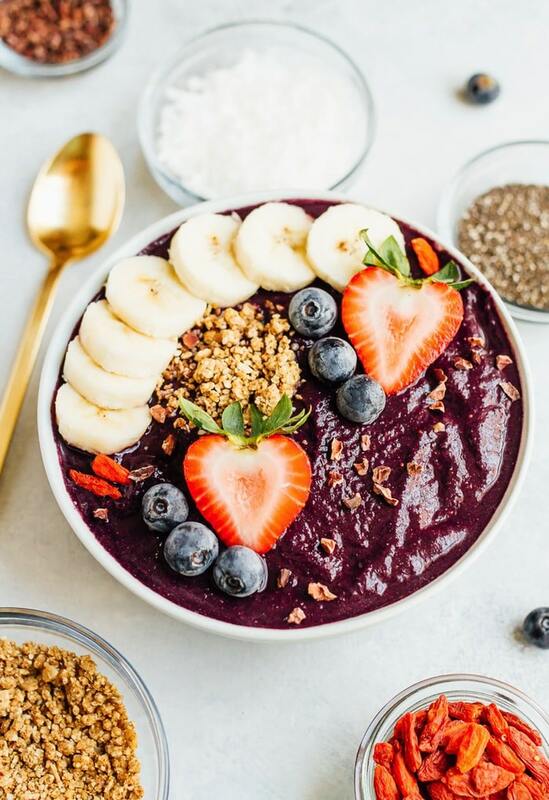 Brittany at Eating Bird Food put together a really unique, health-packed Maqui smoothie bowl that has cauliflower, blueberries, coconut butter, protein powder and more. This is perfect as a breakfast smoothie with healthy fats, proteins, and lots or nutrition. I really like this unusual ingredient combination in this Maqui smoothie bowl from Whole Vegan Pantry. It has a great blend of seeds, fruits, avocado, and filling quinoa. Works great as a meal replacement or breakfast smoothie. 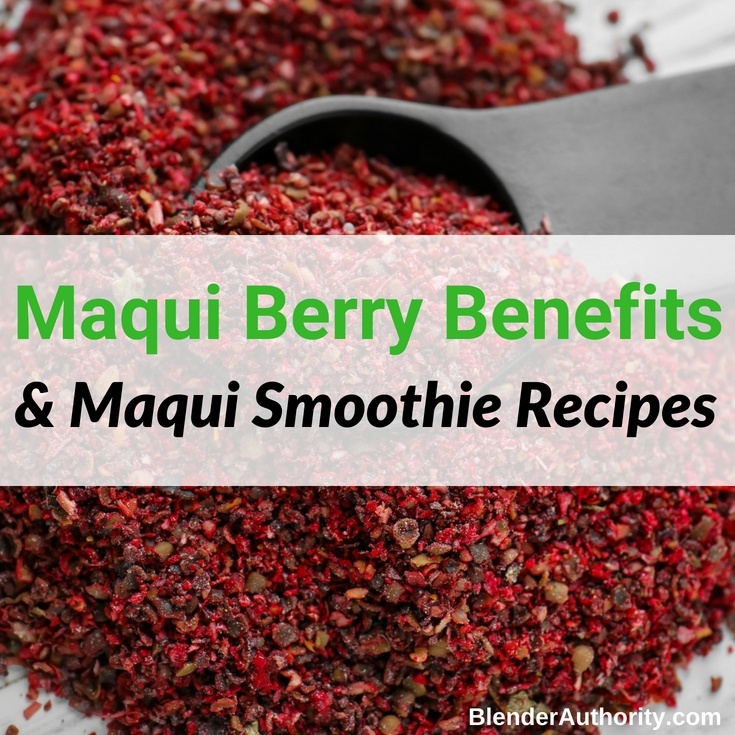 Maqui berry is an awesome superfood loaded with antioxidants and it simple to add into smoothies. If you already use acai berry powder in your diet then maqui is a great substitute for more variety. Have you ever tried maqui berries or used them in any recipes ? We love trying new recipes so leave a comment below. 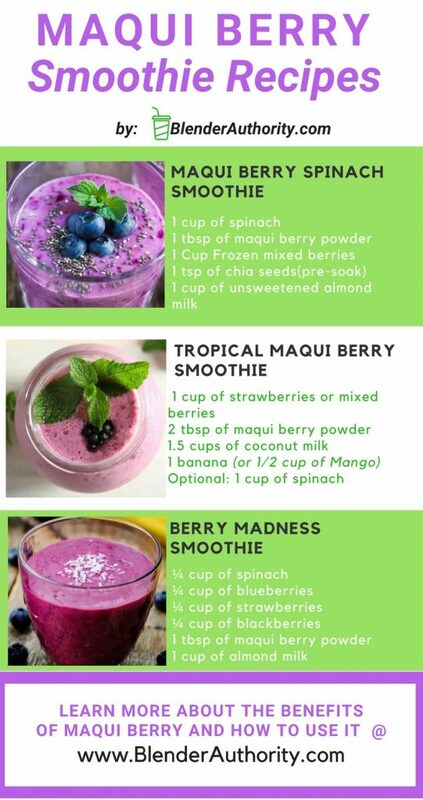 Discover the amazing benefits of Maqui berries and try one of these tasty Maqui powder smoothie recipes. Nutribullet Replacement Parts – Where to Get Them ? Blender Authority may receive a small referral commission from websites that we link to. All of our articles are well researched, unbiased, and continually updated. We are not sponsored by any company or brand. Copyright 2019 by Blender Authority. All rights reserved. BlenderAuthority.com is a participant in the Amazon Services LLC Associates Program, an affiliate advertising program designed to provide a means for sites to earn advertising fees by advertising and linking to Amazon.com. *Amazon and the Amazon logo are trademarks of Amazon.com, Inc., or its affiliates. Additionally, this site participates in various other affiliate programs where we may receive a commission through purchases made through our links. 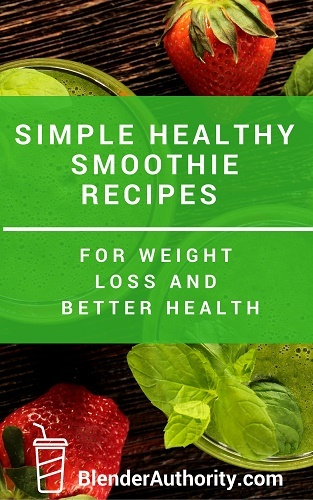 ​Send Me FREE ​"Simple Healthy Smoothie Recipes" eBook ​so I can start today !